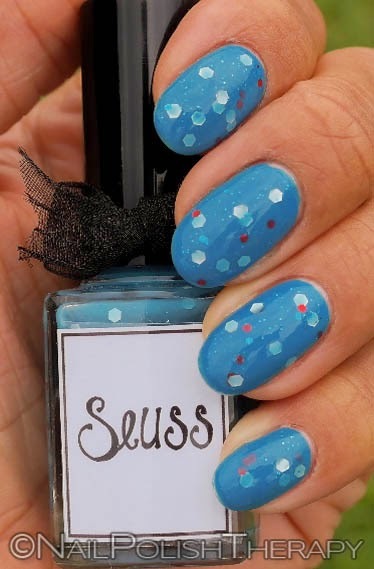 Nail Polish Whimsical Ideas by Pam: Dr. Suess, It might sound strange but 4th of July is truly may favorite holiday. Second to my birthday (which for me is a major holiday) I really enjoy 4th of July. I'll tell you why briefly. It's not because I believe that America is the best country or am proud of the kind of nation we are. It's because I admire what the holiday represents: Independence. The ideals and principles our country was founded on are admirable (the methods not so much). I also like that it's not about expensive gift giving, superficial gestures of love, or thankful gluttony. It's about summer fun with friends and family, and fireworks (my favorite!). 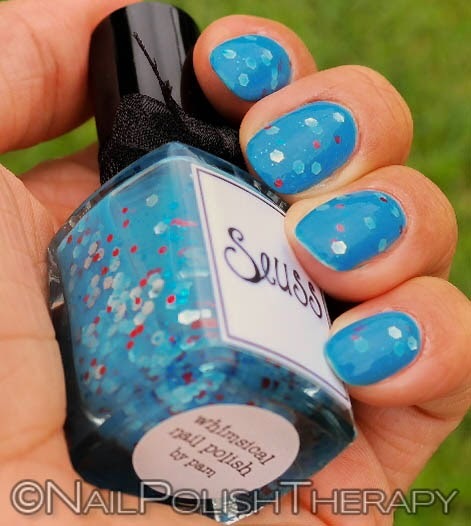 I was going to try my hand at making some fireworks nail art, but I decided to use this oldie but goodie by Whimsical Ideas by Pam. Yes it's the easy way out of nail art, but seriously I need to get through so many of these untried polishes. I layered two coats over Morgan Taylor West Coast Cool. WCC was a true one coat heavily pigmented polish that was fairly easy to apply. Something told me it would stain my nails because it was so rich and it did. Terribly! I had to do a long baking soda soak to get it off after major acetone use. 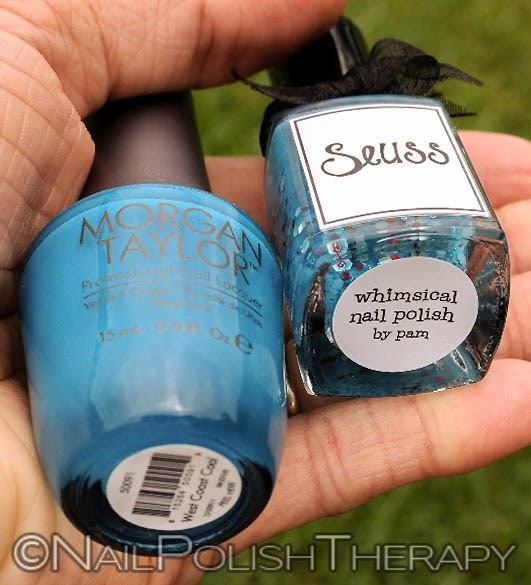 Two coats of Dr. Suess was easy to apply and spread nicely. The shrinkage from Using Seche Vete as a topcoat was bad on my ring and pinky fingers. What are you wearing for 4th of July?